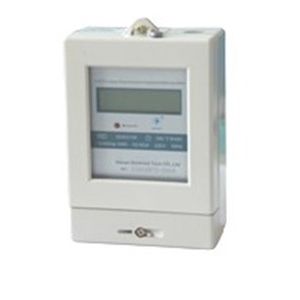 Prepaid Energy Meter with Multi-Tariffis designed to measure and record energy power according to different time and price. Operator can set four tariffs and eight time periods in the meter. 1. Prepaid, one meter with one IC card. 2. Measuring active electric power, which is accumulated according to different prices. 3. Early warning of insufficient power. lithium battery guarantees three years working time for clock even if power off. 6. LCD display with high definition and wide temperature scope. 7. PDA or RS485 meter reading. 1. Imported industrial components guarantee product quality, reliability and safety. 2. One meter with one IC card, IC card is uninterchangeable. 3. Bidirectional transmits data by IC card, more quick and convenient. 4. In case of reverse connection, meter still records the used electricity to prevent illegal use. ISM-031---Single-phase, LCD display, 485 port.